If you have too many loans, rolling them all into one—with a single monthly payment—can seem like the answer to your prayers. Where you might have been struggling to juggle multiple payments, now all you have is a single payment that’s less than the total of several that you had before. And, in all probability, when you do a consolidation you also get a lower interest rate. That sounds like a win all around! But on closer inspection, it might be just the opposite. Debt consolidation loans have a way of keeping you in debt, and here are five reasons that happens—despite how good consolidation works on the surface. Debt consolidation is all about the monthly payment, or better put, keeping it to a minimum. That’s all well and good, but it doesn’t address the bigger problem of high debt balances. 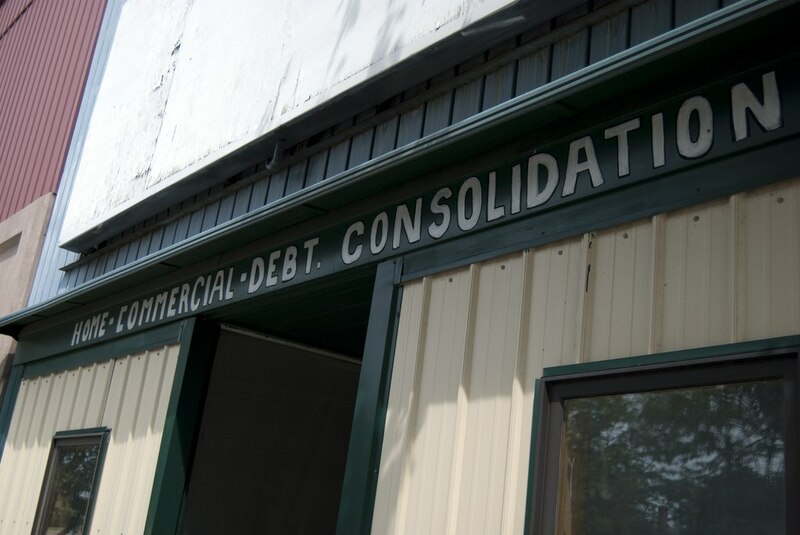 As much as lowering the payment is beneficial, debt consolidation doesn’t get to the root problem of debt in general. As far as your debt balance is concerned, debt consolidation only rearranges your debts. The most basic problem of debt is the amount owed, and debt consolidation doesn’t fix that. One of the under-appreciated detours that debt consolidation leads to is that it opens up the possibility of going even deeper into debt. If you have five loans with a combined monthly payment of $600 and you consolidate them into a single loan with a new payment of $400, you now have and extra $200 each month. That will leave room for…a new loan. That’s never the intention of course. The theory of consolidation is that by lowering your monthly payment, you’ll have more money to begin paying off your consolidation loan. In reality, that rarely happens. More typically, the extra budget freedom merely makes room for fresh borrowing. Debt consolidation is itself a revolving door. One loan gets rolled over into another, and you’re paying the same debts—plus fresh ones—year after year. The only way to get out of debt is to pay your way out. Debt consolidation doesn’t accomplish that. When one debt consolidation seems to work, a second is sure to follow. Eventually, it becomes a way of life. Three credit cards and a car loan are consolidated into a single loan. Within a year, two more cards have balances; a new consolidation loan is done rolling the old one in with the new credit card balances. Eventually, the consolidation may involve a second mortgage on your home. Later on, when more debt is added, a new first mortgage incorporating the new debt, the second mortgage and the original first mortgage. At that point, your debt has become permanent. When it comes to debt, the human factor has to be considered. Paying down and paying off debt is hard. Debt consolidation is easy–and we all like easy! When we find an easy way around anything we tend to camp out there, and nothing constructive gets accomplished. The “debt snowball” is a popular way to pay off debt. Under it, you pay off your smallest debt first and once that’s done, you move up to the next smallest. You repeat the pattern until all of your debts are paid in full. It’s a form of divide-and-conquer where you first pick off the little debts before going for the bigger ones. The idea behind the strategy is that paying off the smallest loan is the most doable. Once that debt is gone, one small monthly payment is eliminated, and that frees up more cash to concentrate on the next smallest loan. By the time you get to the biggest loan, all the other debts are gone, you have more cash flow, and the big loan doesn’t look so big. Thousands of people have used this strategy successfully, and it’s a far better approach than debt consolidation. With the debt snowball, you aren’t giving yourself immediate debt relief they way a consolidation loan would, but you are paying off your debt. That should be the goal of anyone who is carrying too much debt. Ultimately, debt consolidation makes debt easier to live with but it does it without ever fixing the basic problem, which is too much debt. I’m not sure the so-called snowball method is always the best way to pay off debt, but I agree 100% with your presentation on debt consolidation. For debtors looking to truly tackle their debt challenges vs. just kicking the can down the road, consolidation is never the answer. Debt consolidation *does* work if, and only if, you then stop using what got you into trouble in the first place. For example, earlier this year my wife and I consolidated 4 credit cards into one personal loan – cutting the interest from the mid 20s to about 11%. We also shredded the cards (and the replacements which have come since as the expiration dates approached and passed). We haven’t used a credit card for over a year – except on a car rental this spring (and we cleared the bill using cash). The “Debt Snowball” is a fantastic starter – but if you have the discipline to ‘snowball’, you [probably] have the discipline to consolidate and snowball even faster! I have my doubts about consolidation too, although I have heard a couple of stories from people who took it like it should be, a once and for all way out of debt. If you got the lesson learned, with a lower interest you should be able to overpay and get it paid off quickly.